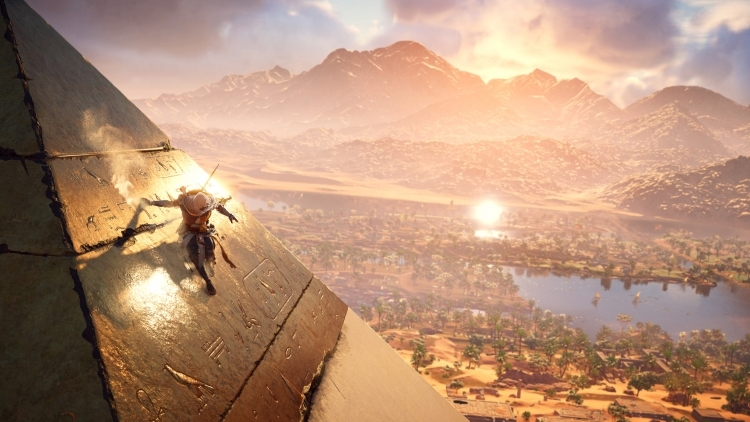 At a press conference, Microsoft was announced for the first time shows the Assassin’s Creed Origins, details of which now and then appeared on the Web in recent years. The game really unfold in ancient Egypt. 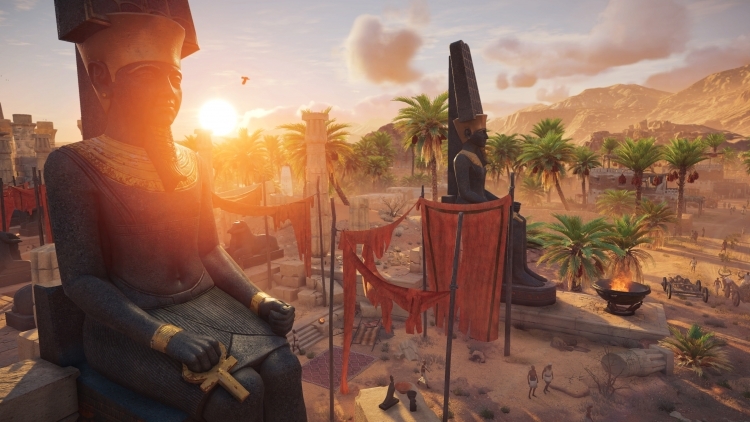 “Reveal the mysterious past of the page to learn about the fascinating history of how it was created Brotherhood of Assassins” – says Ubisoft. The developers promise a really lively city where every resident will have their classes in the morning, afternoon, evening and night. They work, sleep, eat, communicate with each other, even go to the toilet. Farmers cultivate the land and raise livestock, the priests pray to the gods, thugs ambush and steal. If you follow their actions, it is possible to work out new tactics and to find opportunities for assignments. synchronization point (the notorious tower) will not disappear – they are still scattered all over the map. Now the map section using them does not open – these points will unlock opportunities for fast travel and note the available quests and points of interest in the form of question marks. What exactly is gone, so is the mini-map – now in its place at the top of the screen in the manner of a compass placed Skyrim. 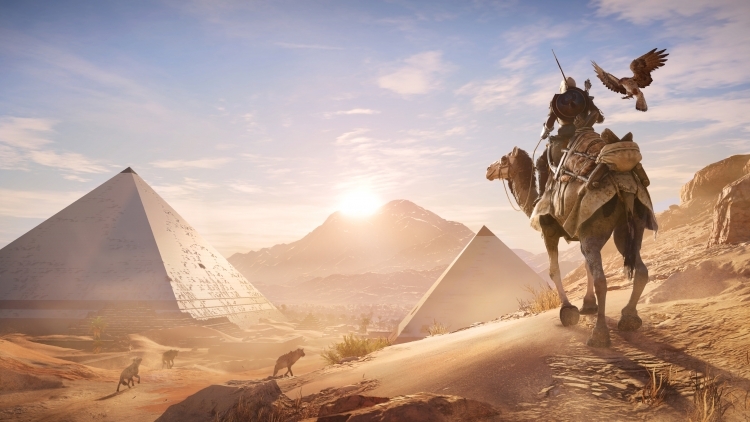 Enjoy fast moving does not necessarily – the protagonist Bayek can reach the desired locations on the horse, camel and even a chariot. If you manage to do not want to, you can get directions and go on autopilot. 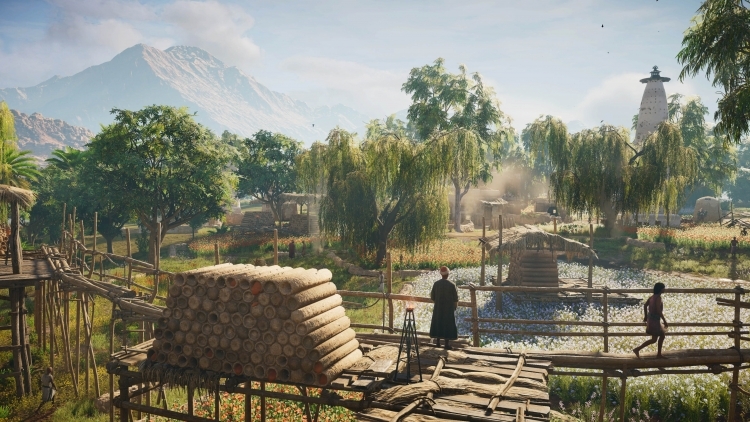 Purchased vehicles in the stable, and, among other types of stores have to forge constantly updated assortment of weapons and armor, weavers cottages for new costumes, as well as markets with a rare commodity, and “mysterious boxes” – they will be getting for the fulfillment of daily quests. For the first time in the series will add Origins of underwater fauna and flora – the character is able to deep dive to search for sunken treasures and statues. There he was particularly useful skill called Animus Pulse, through which interactive objects in a small radius start to shine. 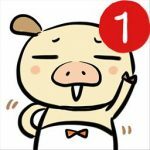 Many other details can be found in Ubisoft blog. 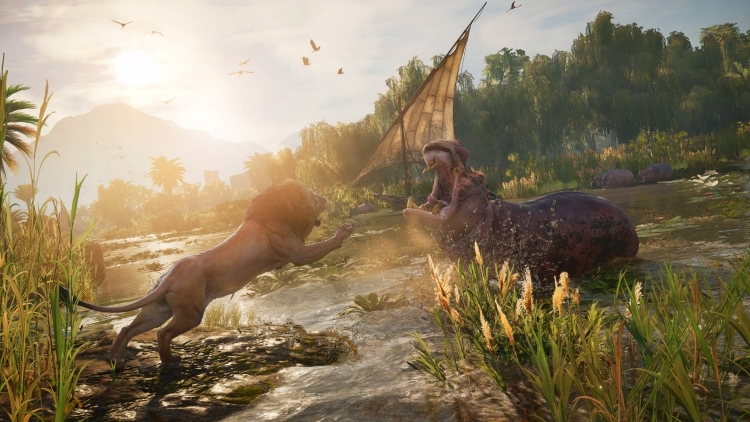 The release of Assassin’s Creed Origins takes place on October 27 on the PlayStation 4, Xbox One and PC. Version for Xbox One X with support for 4K resolution come together with the international launch of the console on 7 November.